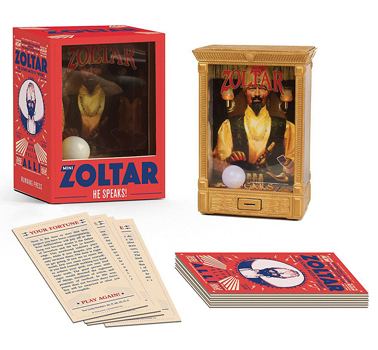 This kit includes everyone's favorite fortune teller, Zoltar, printed on clear plastic and housed within a booth, with two flickering lights and a light-up crystal ball. With the touch of a button, Zoltar speaks a different fortune every time! Kit also includes 16 fortune cards. Dimensions: 2.90" x 3.85"